Waterjet cutting involves passing water under high pressure through a small diameter nozzle to produce a waterjet. The jet travels at a very high speed, with sufficient kinetic energy to cut a wide range of materials. If sand is added,an abrasive affect occurs that allows the waterjet to cut hard materials such as metal and stone. What is a a water jet? 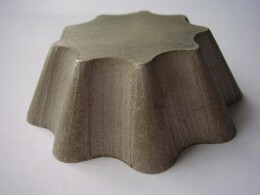 The process of water-jet cutting works on the same principle as water erosion, which can be seen in nature - only much accelerated and concentrated. Water hitting the surface of a material is able to loosen particles from it and subsequently wash them away. This effect is even more enhanced by additives in the water, whether it is a previously loosened material or abrasive grains. The cutting "tool" is a high-energy beam of water, a thin stream of water under high pressure (up to 400 MPa) and with high speed (up to four times the speed of sound).This technology is also called hydro-erosive cutting; when abrasive material is used, it is called hydro-abrasive cutting. A mixture of water and abrasives facilitating the cutting process is used in machining of hard and tough materials. Different types of abrasive materials can be used: certain types of sand, natural garnet, corundum, olivine; steel in the form of granules or grit, glass and ceramic beads as well as plastic or aluminum oxide abrasives. Water-jet cutting is often used in the manufacture of machinery and other equipment. It has found its place in many areas, from mining industry to aircraft manufacture. Since the water jet can be easily regulated it can be used for cutting various types of materials, from fish sticks to titanium in a wide range of thicknesses.There are few materials which cannot be cut by a water jet, one of which is a safety tempered glass, which scatters when cut regardless of the technology used. In water-jet cutting machines, water from a local distribution is used; it is good to treat it to increase cutting efficiency and operating life of cutting equipment. That is the purpose of the machine's filtering unit that can, apart from filtration, also provide softening, de-ionization of the water or reverse osmosis.The "heart" of the system is a high pressure intensifier pump that generates working water pressure. It includes a pressure tank that serves as pressure equalization, allowing continuous supply of pressurized water.At the end is the cutting part of the system. This includes a container with abrasive material that is mixed with the high-pressure water in a mixing chamber in the cutting head. Then there is the cutting head with a nozzle with a diameter in tenths of a millimeter. From the nozzle, a mixture of water and abrasive flows at high speed, impacting the material and cutting it. After cutting, it is generally not necessary to subsequently work the cut edge. The most important advantage of water-jet cutting is that it does not create a heat affected zone in the material, so it does not affect its internal structure and associated properties. Due to the cold cut, this method can be used to cut heat-sensitive materials such as wood, thermoplastics, laminates and the like. It is able to cut multi-layer materials as well. Minimal force application on the cut material does not cause micro-cracks. This technology is environmentally friendly, no harmful fumes are generated. It also enables efficient use of material as the width of the kerf is between 0.1 and 1.5 mm and only a few millimeters of material have to be left between individual cut parts.